Deluxe T-REX Exclusive dinosaur realistic birthday party supplies beverage paper plates are featuring the most famous prehistoric hunting predator Tyrannosaurus rex from Jurassic World. A perfect match with our T-rex birthday party tableware and decorations. 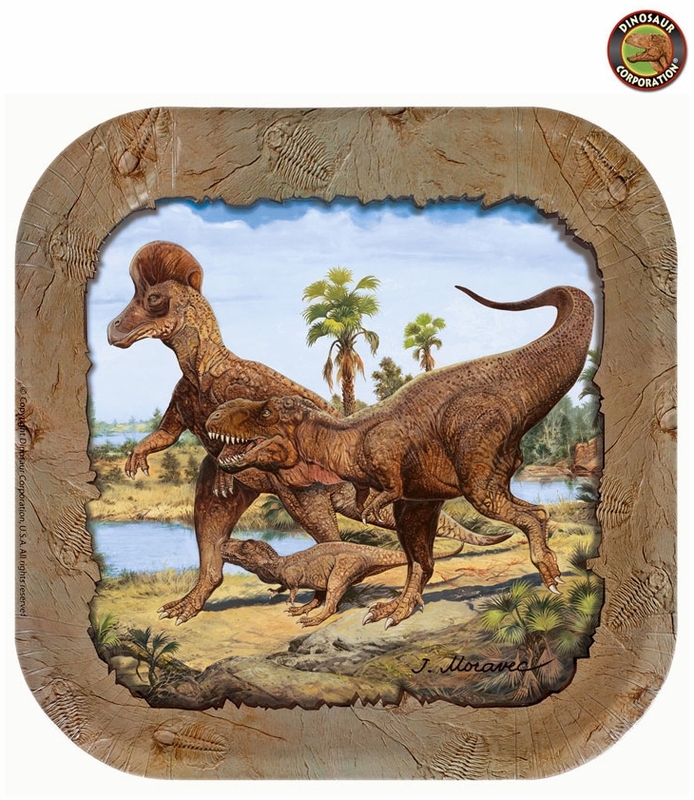 Also great fit for Dino Dig party showing on plates prehistoric fossils from 500 million years ago. * Featuring hunting T-REX from Jurassic World.